Joel Feder March 29, 2018 Comment Now! 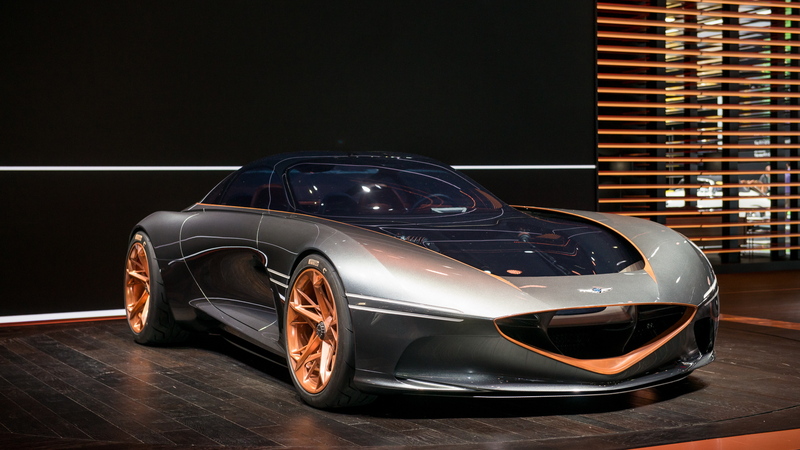 Concept cars this year are either fast, green, or coming soon. 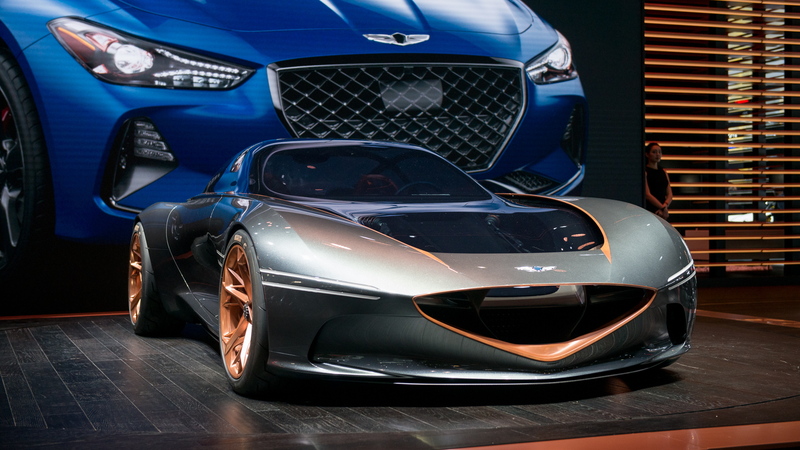 The Genesis Essentia Concept you see here is fast, and it’s green. Coming soon? We’re not so sure. Let’s get this out of the way right now. It’s highly unlikely that we’ll see this coupe on the streets within the next few years—if ever. That doesn’t stop us from drooling. There’s real sports car stuff here. A visible pushrod suspension, F1-style nose cone, slippery shape, and a long hood. 0-60 mph happens in 3 seconds—it has all the right moves. There’s fast. Green? 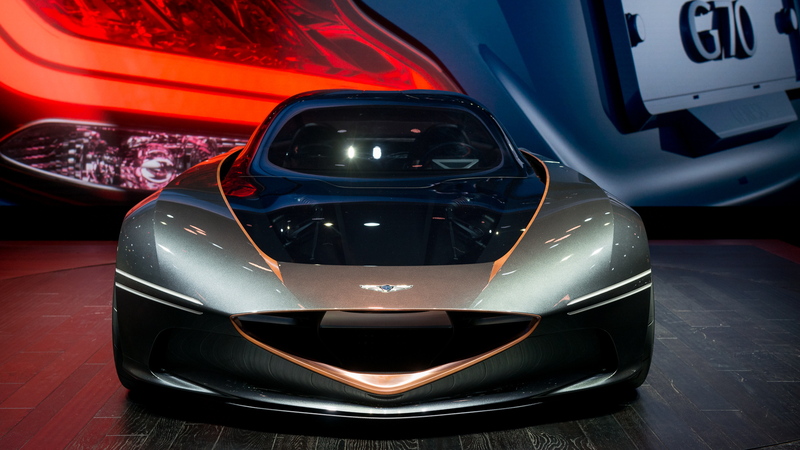 It’s all electric. 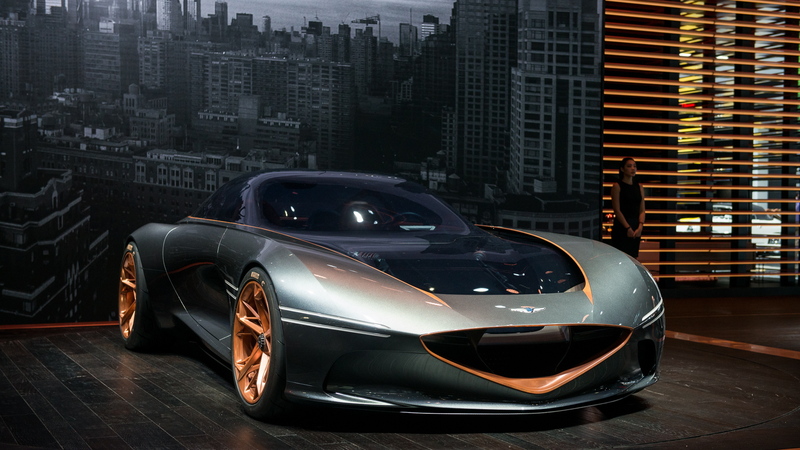 Genesis didn’t give us many details on the powertrain, but said it was all-electric with the batteries down low. That helped designers craft a roof that’s just 50 inches from the ground, and its shape is impossibly wide. So what are we looking at here? It’s the evolution of a luxury brand that’s just three years old. Luc Donckerwolke's handpicked team that came over to Genesis from Germany has its hands all over the thing. We’re blown away by the lines and the proportions. 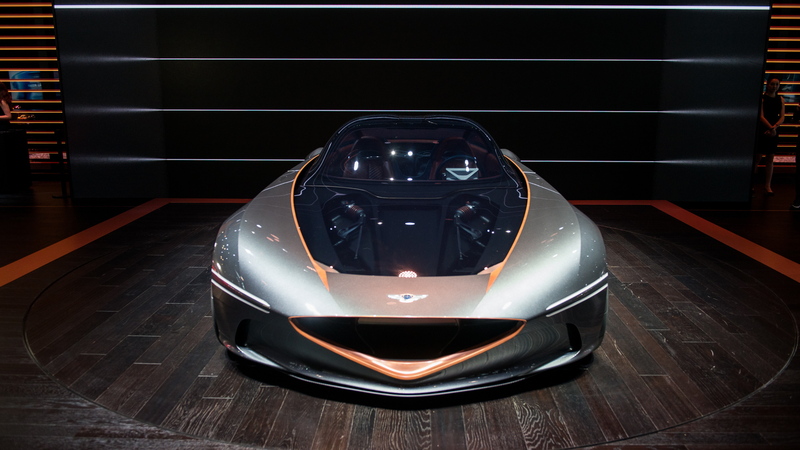 We expect that we’ll see some form of the grille and tail make its way to Genesis cars in the near future, perhaps some interior design touches like the streamlined infotainment display. The rest? Like the two-door sports coupe and electrified powertrain? We’ll probably wait a couple years for something like that. Like the name suggests, the Essentia is a new idea for stripped-out Genesis style. The brand is growing quickly and finding its way. We like what we see, and want to see more of it in showrooms.